Felicie Balay was introduced to the world famous artist, Salvador Dali, in the 1960's, and started handling some of his business affairs in the United States and Europe. Soon after, she began her own business, representing American and European artists, and dividing her life between New York and Paris. 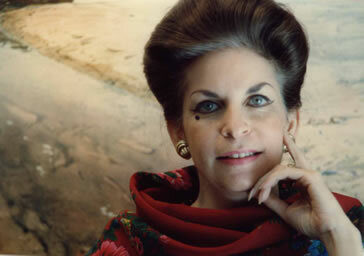 It was in late 1969 that she met the artist, LeRoy Neiman, who had not yet created original graphics. It was Felicie who introduced Neiman to printmaking by taking him to the ateliers in Europe to learn about the various graphics techniques. Back in New York, they developed an innovative technique for producing enamel serigraphs, which took full advantage of Neiman's style. That technique was copied by many artists and is still used today. In 1971, Felicie was approached to enter into a joint ventue with the owners and operators of the well respected Knoedler and Hammer Galleries, and was made President and Chief Operating Officer of this company, which was known as FKH Editions. In addition to her own firm, she engaged in publishing and distributing limited editions by the Knoedler/Hammer gallery artists, and became the foremost graphics -publishing house in the Country. Felicie constantly organized exhibitions for the artists in galleries throughout the United States and Europe. Felicie also had exclusive contracts for the original and graphic works of Danielle Akmen, Joseph Correale, Ralph Fasanella, Oliver Johnson, Benjamin Levy, Wayland Moore, Mori Shizume, Edward Sokol, Catherine Toussaint, and Gloria Vanderbilt, to name a few. Besides her stable of artists, she held exhibitions in her gallery for many other artists, including David Barker, Alexander Calder, Al Hirschfeld, Lorraine Jordan, Carol Smith and Werner Zganiacz. The gallery also held a huge retrospective of the works of Edouard Vuillard which brought much critical acclaim. Felicie Balay spent several years as a member of the Board of Directors of the Museum of Cartoon Art and staged numerous exhibitions of vintage and contemporary original cartoon art with the participation of famed cartoonists such as Mort Walker (Beetle Bailey), Dik Browne (Hagar), and Milton Caniff (Terry and the Pirates and Steve Canyon), who would "hold court" daily, in her gallery. As an adjunct to her graphics business, Felicie Balay has published three art books. The first, "LES DINERS DE GALA", was an enormously successful and beautiful "cookbook" by Salvador Dali, which, aside from the magnificent artwork and photography, contained exclusive recipes from serveral top Paris restaurants, such as Lasserre, Maxims, and La Tour d'Argent. The next, and probably the most exciting, was "PICASSO", a book which had been authorized by Picasso, and approved by him just before his death, making it the last book in which Picasso, himself, was involved.It was also selected as the art book of the year. 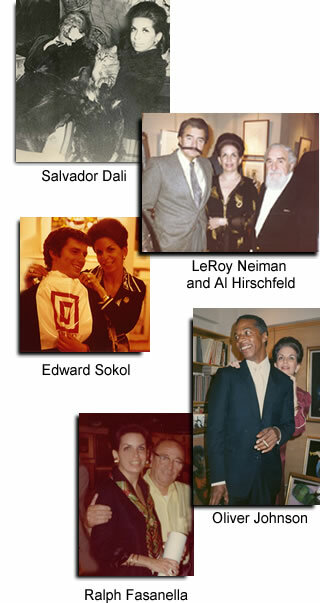 "ART AND LIFESTYLE" followed this, and was the first book published about LeRoy Neiman.